I was going to enter this in the Remix contest but due to my wife being in hospital time got away from me. I loved his original and this is a little more "rough and ready" but constructed without megabucks CNC mills etc, I have used tools that the home handyman is more likely to have access to, however, if anyone wants to buy me a CNC lathe/mill/laser cutter I won't say no!! Now the original plan was to cut around the heads/ plume and the pegs on the feet and shield arm first, then glue the three pieces of Ply together and cut the rest so they were all exactly the same. cut the centre piece with plume, and tape the remaining 2 pieces together and cut out, then assemble. When cutting out I would recommend drilling holes at all the tight turn areas if using a bandsaw, I didn't and got stuck a couple of times-- like I say this is all about experimentation! So eventually all 3 pieces were cut out and I glued them together. I didn't take many pics at this stage, however I cut 2 pieces of Ply and measured out where the 2 foot pegs were going to be on one piece. I then drilled the 4 corners and cut out the rectangles for the foot pegs with a hand Fret saw (so basically ended up with 2 rectangular holes with "bunny ear" corners on the top piece) , checked fit and filed as required. Once Happy with the fit I laminated the 2 pieces together and gave a damn good sanding. Although I haven't photographed it I did the same process with the shield. So all sanded and glued (lots of sanding!!) I started with 100 grit, gave it a coat of polyeurathane varnish and then sanded down to 400 grit and a couple more coats. Drilled a small (8mm) hole in the plume and located the Rare earth magnet, this was glued in place. Drill Hole and cut out with Hand Fretsaw,, result difficult to get two nice parallel cuts and need a largish drill hole to get the pinned blade in, threw shield away! Drill 3mm hole either end of slot and use Oscillating Saw to cut out, clean up edges/widen as required using Dremel grinding attachment, this worked pretty well (until the Oscillating saw blade broke), kept this one. So it was then just a matter of a bit more assembly and varnish and there it is. I learnt a fair bit, especially about tool limitations etc, however, although not as professional as Christians one, a pleasing result, just took a lot, lot longer to make than I expected. PLEASE BUY ME A CAD/CNC MACHINE!!!! Thank you for presenting this without a need for laser cutters and CNC machines or 3-D printers. I once made a comment in which I mentioned I did not have access to a 3-D printer. I was not complaining, but got told I could somehow find a TechShop, none of which are within hundreds of miles from me, or I could buy one, since they are coming down in price. I was not even complaining, just mentioning that not all of us have access to the fanciest stuff. I am very thankful to have a welder now. I did not have one for my first 52 years. Even at that, I have mixed emotions about presenting projects that require welding. If I had not already made a knife block of a different design for my wife, I would be making this. But I want it a bit more accurate than that so I just bought some steel angle to put over the wall studs. Soon the bearings will ride on steel. The bearings were digging into the wood. Hey, I tried the really super cheap method, what can I say? Initially I wanted my whole machine to cost about $200, but now it is looking more like $400 will cover it. I think it is going to be pretty amazing when I'm done with it though. The first run was already pretty impressive to me. Enough so I had no problems going out and spending a bit more to make it better. at the risk of shameless self-promotion, here is a center finder I did. As you can see in the text I was providing an alternative to one someone else did using a laser cutter. https://www.instructables.com/id/Another-Center-Finder/ It worked very well and used a little high school geometry rather than a laser cutter. I expect rural New Zealand has many similarities to rural Iowa in the United States where I grew up. My father had a few basic handtools and a workbench with a vise. He did have an electric drill and an electric bench grinder. I had to learn to "make do" with materials from a scrap pile and his few tools. Doing more with less keeps a person humble and makes him appreciative later when he may get his hands on something that once was only a dream. Awesome remix! 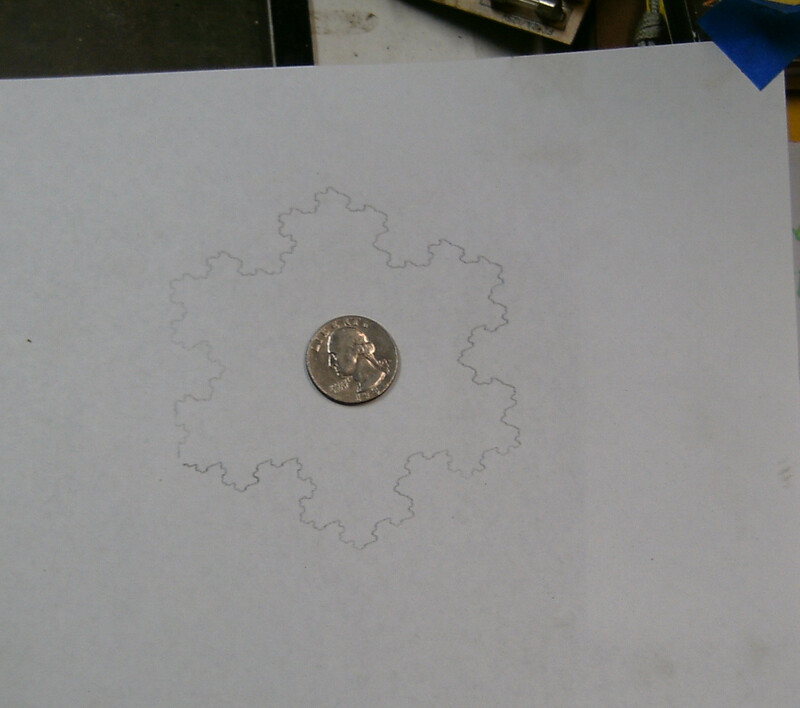 It's good to know these things can be done without a CNC machine! Thanks for sharing!